That's right. After the Rangers leave following the 2019 season, Globe Life Park will become the home stadium for a Dallas XFL team. We now know the future of Globe Life Park, the classic ballpark being forced into obsolescence by a shiny new retractable-roof stadium across the street in 2020. It’ll become the home stadium for a team in the to-be-formed XFL, the second attempt at an offshoot football league by WWE chief Vince McMahon. The official announcement was made Wednesday morning at an event at MetLife Stadium in the Meadowlands. “Dallas-Fort Worth is a hotbed for sports, and we couldn’t be more excited to bring an XFL franchise to Dallas,” XFL Commissioner Oliver Luck said. The future of Globe Life Park had been unclear, except for a 2016 promise that it wouldn’t be bulldozed. Arlington Mayor Jeff Williams then that the stadium’s outfield and concourses could become retail, dining, and commercial offices while the field itself might be repurposed into a public park or amphitheater. Prospects at the time didn’t include the XFL, the return of which wasn’t announced until January of 2018. Arlington pitched Amazon on a transformation of the ballpark into the tech giant's second headquarters before exiting the "HQ2" race in May. The Texas Rangers, who will remain Globe Life Park’s tenants through the 2019 baseball season, were part of Wednesday’s announcement. “The addition of the XFL will add to the year-round excitement for fans in Arlington, the Dallas metroplex and all of North Texas,” Rangers Chief Operating Officer Neil Leibman said at the event. Leibman called the ballpark a “cornerstone of the entertainment district” that includes AT&T Stadium and the newly-built Texas Live!. Globe Life Field, the Rangers’ new stadium, is set to open in 2020. 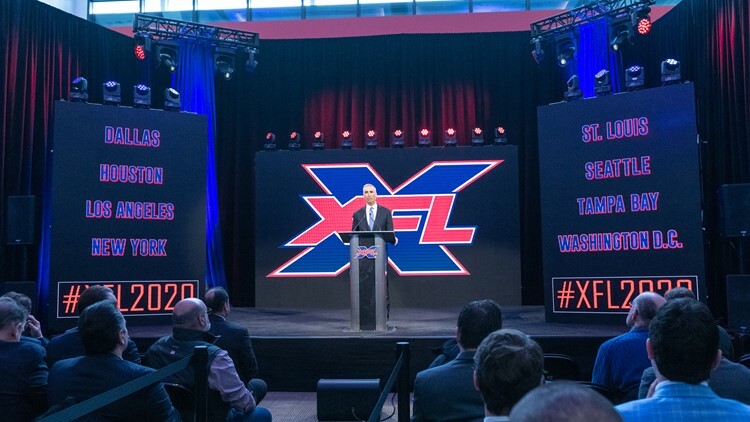 The XFL promises to bring “an exciting, innovative form of football we’ve never seen before” – a product it hopes to be a departure from traditional NFL football – to the pro sports landscape. McMahon launched the first iteration of the XFL back in 2001, but it lasted just one season. The often times bombastic wrestling promoter says its founders were “20 years ahead of their time” and that the conditions are ripe now for the XFL to stick. There’s a more long term financial commitment in place, McMahon says, and more of a “clamoring for live sports and entertainment events” than ever before. He also says today’s social media landscape will create avenues for the sport to be widely promoted. Here's the @xfl2020's very Dallas-y video announcing Arlington's Globe Life Park as a future venue. The format of the games has not been presented publicly. The original XFL ran from February to April and consisted of a 10-game regular season and two-round playoffs, culminating with the Million Dollar Game at the Los Angeles Coliseum. Similar to the Cowboys, the XFL team that will play its games in Arlington is being billed as a “Dallas” team. 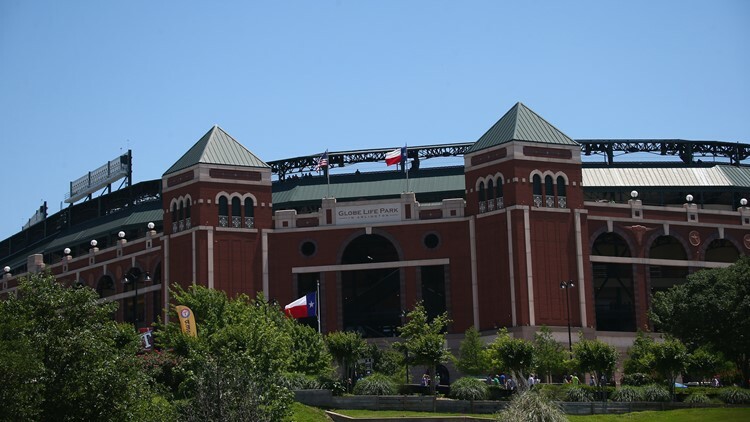 Images of the ballpark are being used in conjunction with flashy shots of the Dallas skyline as part of the XFL’s promotional material. Watch the XFL's Periscope feed to see the official announcement of host cities. The announcement of Globe Life Park's future happens around 55:40.